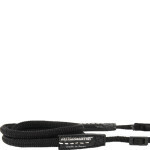 ACAM-305 is a slim, soft and stylish camera strap that ensures optimum comfort when carrying your camera. Handcrafted in Japan, this woven silk strap has enduring qualities and a distinct appearance that gives it widespread appeal. Compatible with mirrorless cameras, SLRs, and point and shoot cameras, this flexible strap is designed to feel weightless around your neck or wrist. 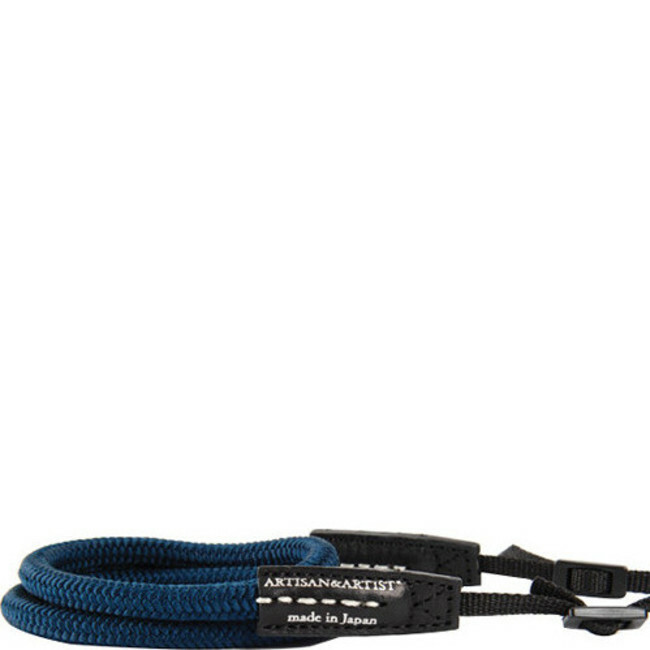 This dual-layer strap includes a woven silk outer layer encasing an octavo cord, for a strong but smooth finish. End-tape allows you to adapt the strap to a selection of cameras, with flexible design that can wrap around your wrist during shoots. Black leather end-tabs provide strong support at each end of the cord, complete with the Artisan & Artist logo. The silk design is both soft and breathable, ideal for long days on set or shooting in hot weather. Take the weight off your neck with a slender camera strap that won’t clutter up your kit. ACAM-305 is a modern reincarnation of the silk cord that has long been a part of Japanese heritage. A truly unique camera strap, designed for comfort, this versatile accessory is the perfect companion for your camera. 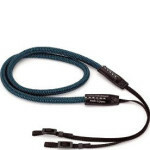 Suitable for both mirrorless systems and SLRs, this hand-woven cord consists of two layers: a sleek silk outer layer and a sturdy octavo interior. Lightweight, breathable and offering just the right amount of elasticity, it secures to your camera with tape-type ends. Italian leather tabs add to the luxury appearance, and ensure the durability of your strap. Available in blue, black or red, it’s a simple but stylish accessory that makes a statement. Wear over your neck or wrap around your wrist during shoots, to maintain complete control of your equipment. Silk is renowned for its strength and durability, offering a low-maintenance addition to your camera kit. With an octavo interior, it’s designed to comfortably hold the weight of your camera, with secure leather straps that give you peace of mind carrying your equipment. Handcrafted by artisans in Kyoto, this accessory is a high quality product for photographers. Artisan&Artist take pride in using traditional techniques to deliver contemporary solutions for creatives. Their collection of camera straps, bags and accessories is bold and functional, celebrating simplicity in design. Made in Japan, this premium brand is a popular choice amongst photographers worldwide.